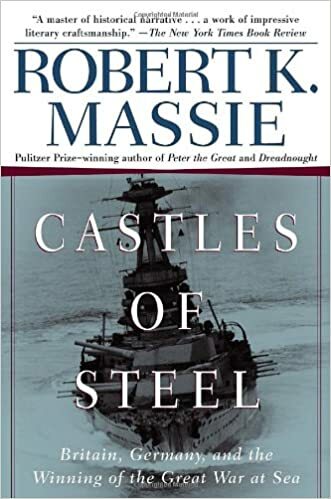 In a work of extraordinary narrative power, filled with brilliant personalities and vivid scenes of dramatic action, Robert K. Massie, the Pulitzer Prize–winning author of Peter the Great, Nicholas and Alexandra, and Dreadnought, elevates to its proper historical importance the role of sea power in the winning of the Great War. The predominant image of this first world war is of mud and trenches, barbed wire, machine guns, poison gas, and slaughter. A generation of European manhood was massacred, and a wound was inflicted on European civilization that required the remainder of the twentieth century to heal. But with all its sacrifice, trench warfare did not win the war for one side or lose it for the other. Over the course of four years, the lines on the Western Front moved scarcely at all; attempts to break through led only to the lengthening of the already unbearably long casualty lists. For the true story of military upheaval, we must look to the sea. On the eve of the war in August 1914, Great Britain and Germany possessed the two greatest navies the world had ever seen. When war came, these two fleets of dreadnoughts—gigantic floating castles of steel able to hurl massive shells at an enemy miles away—were ready to test their terrible power against each other. Their struggles took place in the North Sea and the Pacific, at the Falkland Islands and the Dardanelles. They reached their climax when Germany, suffocated by an implacable naval blockade, decided to strike against the British ring of steel. The result was Jutland, a titanic clash of fifty-eight dreadnoughts, each the home of a thousand men. When the German High Seas Fleet retreated, the kaiser unleashed unrestricted U-boat warfare, which, in its indiscriminate violence, brought a reluctant America into the war. In this way, the German effort to “seize the trident” by defeating the British navy led to the fall of the German empire. Ultimately, the distinguishing feature of Castles of Steel is the author himself. The knowledge, understanding, and literary power Massie brings to this story are unparalleled. His portrayals of Winston Churchill, the British admirals Fisher, Jellicoe, and Beatty, and the Germans Scheer, Hipper, and Tirpitz are stunning in their veracity and artistry. Castles of Steel is about war at sea, leadership and command, courage, genius, and folly. All these elements are given magnificent scope by Robert K. Massie’s special and widely hailed literary mastery.